A Little Bit etc. 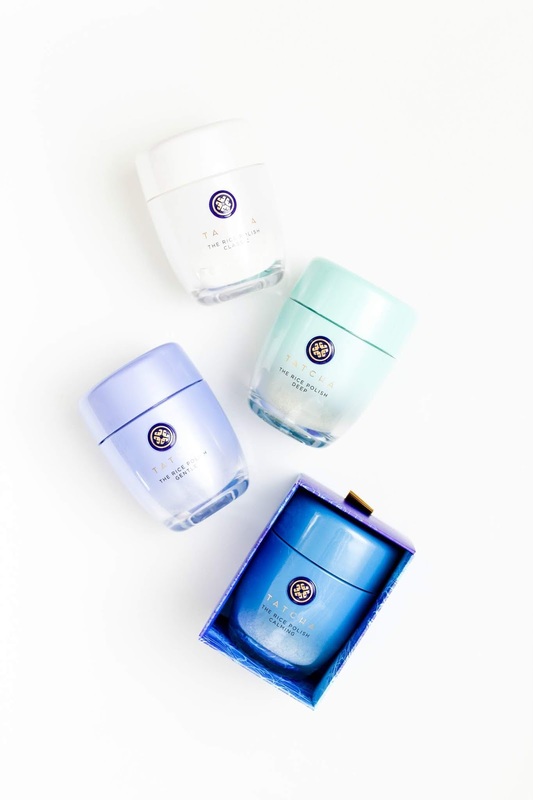 : Which Tatcha Enzyme Powder Is Right For Your Skin? Which Tatcha Enzyme Powder Is Right For Your Skin? 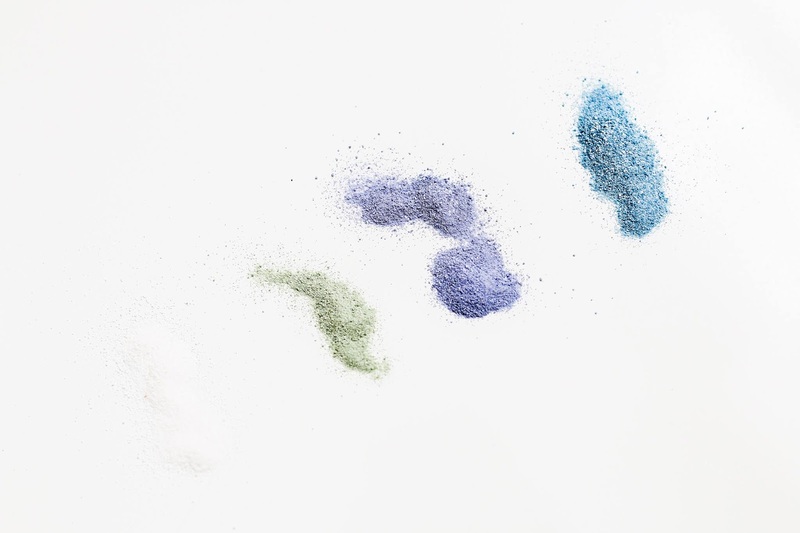 Tatcha has recently reformulated their best selling enzyme powders (fun fact: this was one of the first products and brands I ever reviewed on my blog) and they are better than ever! I already love these enzyme powders because they give the skin a gentle exfoliation without ever stripping or irritating it. And while other traditional exfoliators should only be used 1-2x/week, Tatcha enzyme powders are gentle enough for daily use. I have all 4 newly reformulated powders and thought I would break down exactly which formula is best for each skin type. But first, let's talk about how to use these powders. They are not suited to remove makeup or be a primary cleanse, but more of a second cleansing or exfoliating step. Mix a bit of water with the powder in your hands and massage onto the face. This new formulation has a more finely ground form of rice bran in it along with papaya enzymes. Additionally the powders have a pH neutral base which means they won't strip the skin of any moisture or leave it feeling dry/uncomfortable. In addition to helping gently exfoliate the skin, reduce fine lines, reduce hyperpigmentation and minimize breakouts, each formula has additional ingredients targeted for certain skin types. 1. The Rice Polish Classic (white bottle) - This is the original formula and designed for normal to normal/dry skin. If you don't suffer for any significant dry patches or have overly sensitive skin, this would be a great option. 2. The Rice Polish Deep (green bottle) - For those with normal/oily skin, the Deep formula is best for you. It contains Japanese Wild Rose to help decongest and clarify the skin, while also helping to minimize the appearance of pore size. 3. The Rice Polish Gentle (purple bottle) - My personal favorite is the gentle formulation which is suitable for those with dry skin. My skin is only slightly dry, but I like using this one because it feels the best on my skin. It contains licorice root to keep the skin calm and prevent tightness. 4. The Rice Polish Calming (blue bottle) - If your skin is extra sensitive, is easily irritated or painfully dry, then I would recommend the calming formula. The Japanese indigo in it helps soothe the skin while still allowing for an effective exfoliation. And if you want to make it even more gentle, try mixing it in with your cleansing oil for just the slightest bit of exfoliation. There is a reason these enzyme powders have been the brand's top seller for so many years - they are truly remarkable and are wonderful on the skin. It was these enzyme powders that made me fall in love with Tatcha more than 4 years ago. 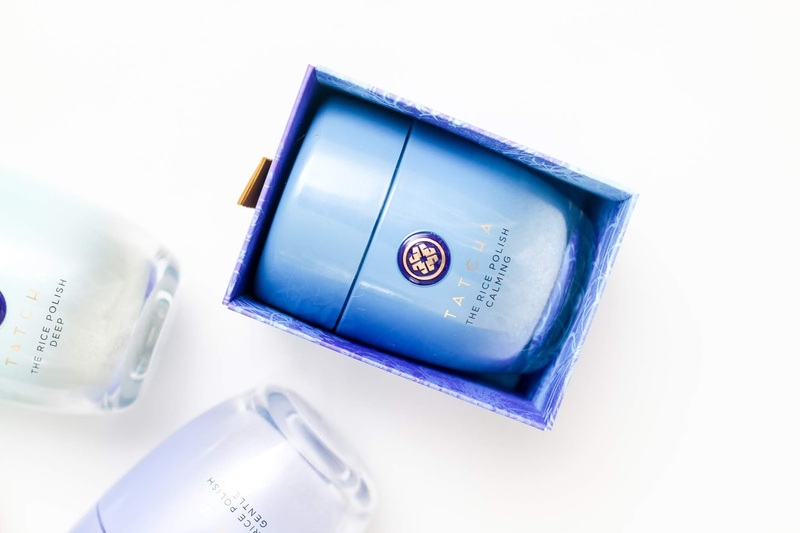 And if you are hesitant to try them and not sure if you want to buy a full size, they sell travel sizes on the Tatcha site which are perfect to buy and test to ensure your skin loves the formula. Find them all here. I've heard so many great things about this brand!